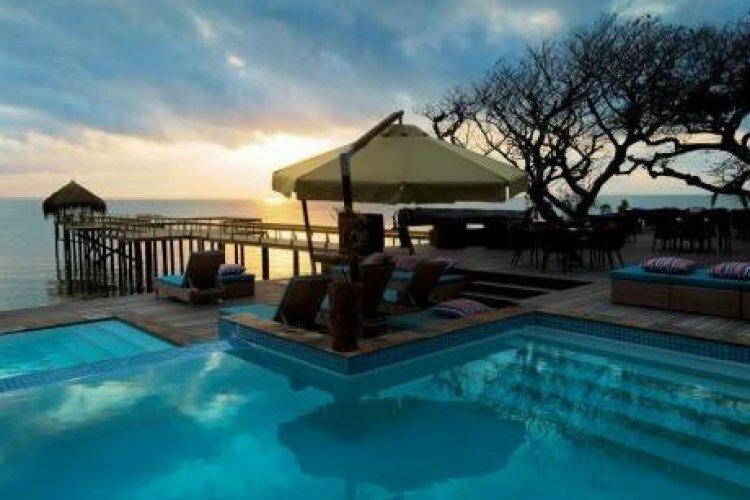 Dugong Beach Lodge in Mozambique is located just off the East African coast in the Indian Ocean. It has the honour of being on the boundary of the Vilanculos Coastal Wildlife Sanctuary which is host to some fantastic sealife. At Dugong Beach Lodge you will find luxury framed tented rooms. These rooms have authentic wooden floors and Jekka thatched grass rooves. You also have a private private bathroom with a large feature bath and refreshing outdoor shower. When you dine at the lodge you will find the restaurant mounted on beautiful Mahogany timber decking. The restaurant has its own wooden jetty extending into the wildlife protected Vilanculos Bay. You can enjoy fresh, local food while watching the ebbing and flowing of the gentle, yet spectacular Indian Ocean. You can snorkel or dive to shallow and deepwater reefs which are home to some magical creatures. These include leatherback turtles, sailfish and manta rays.